The year is quickly coming to a close which means there are just a few posts to fit in before I take my usual break to recharge my blogging batteries at the end of the year. I hope you’ve enjoyed the Friday Kitchen Scout posts that have arrived in your inboxes this year, nearly weekly although I do admit there were more weeks off this year than in years past! Such is life I guess. Last night, I had the most vivid dream of my father who, much to my chagrin, makes infrequent appearances while I slumber. He was youngish in my dream and he was wearing his huge smile, the kind that made his eyes twinkle. In the dream, I was first in an event tent and then found myself checking out at a register with a plate of chicken. There were a few other Armenians in the dream, some I knew and others I didn’t. The dream stopped short when I woke up so not sure what to make of all that! Perhaps these images had something to do with my annual church bazaar which occurred last weekend and where together with my cousins we plated hundreds of lunches that included lots of chicken (lamb, beef, rice pilaf and salad too). My father was an integral member of our church and I have lots of happy memories of being there with him, both at this specific bazaar that has been held for decades and during time of worship. I hold onto these images from my dreams and they really make me smile throughout my day. I think the dream also had to do with the passing of George H.W. Bush who was born the same year as my father. They were both part of the “Greatest Generation”. I’m sure listening to the remembrances on Wednesday as I did, subconsciously made me think of my father who was also a kind and gentle man who loved his friends, his family, his church and his community. I’m thankful for this reminder of how life is meant to be lived. One of the things said about Bush that struck me the most was that he credited everyone around him for his successes, but shouldered the burden of failure alone. That’s a leader. Yesterday’s National Day of Mourning felt like a brief period when the armor and swords were put down for a moment so Americans could reflect on a great man and what we shared together as a country. It makes me think that maybe we need an annual day of reflection where the market closes, the mail stops, and we are forced to remind ourselves that despite our differences, there is so much that can tie us together rather than break us apart. Why should it take the death of a beloved President to make us pause and think about that? I don’t have the answers, but I have been having some great conversations with my friends about all of this and hope to continue that dialogue with them going forward. 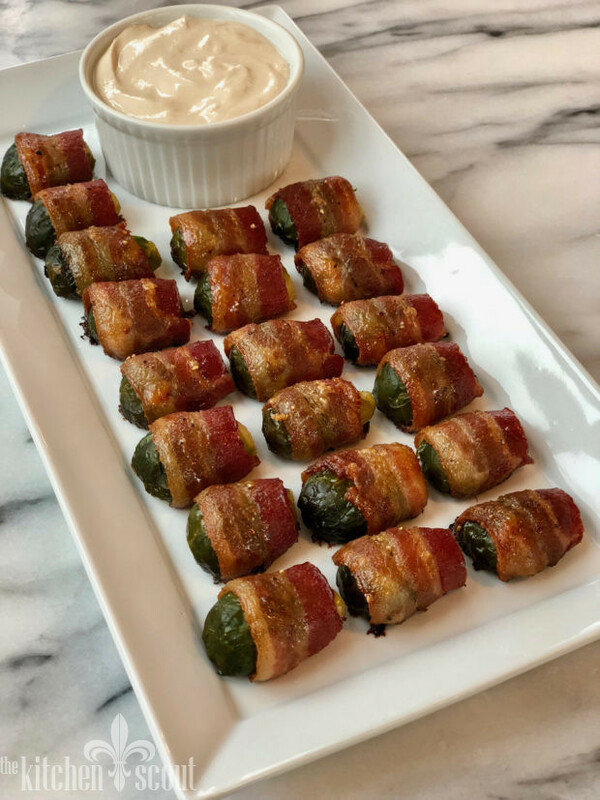 Last weekend, I signed up to bring an appetizer to a dinner held after a paddle tennis tournament my husband was competing in with our good friend, Marty. I often tease her that she is my husband’s paddle wife and I am happy they have fun together on the courts. Unfortunately, the tournament didn’t happen due to heavy rains, but we soldiered on and enjoyed our dinner anyway! 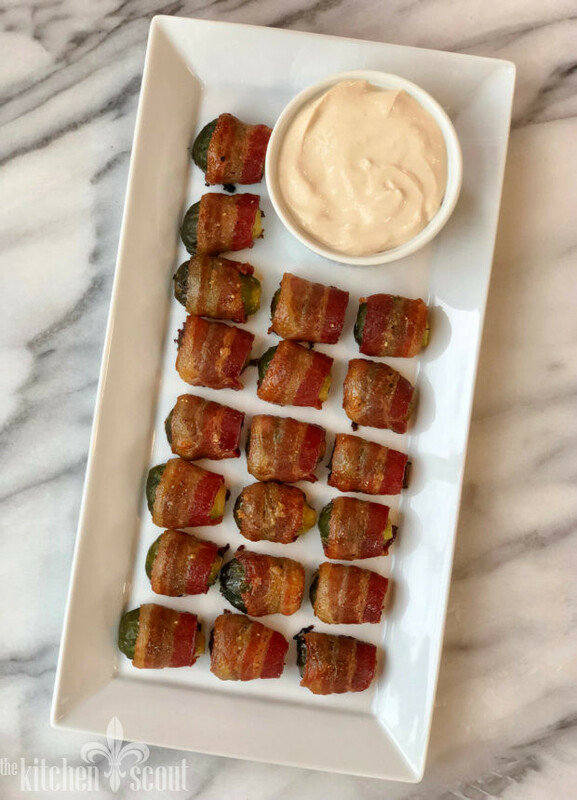 Since the main course was lasagna, I wanted to avoid an appetizer that had cheese so I dreamed up these easy, delicious bacon wrapped brussels sprouts that flew off the plate. I made them again yesterday to bring to a ladies gathering and they were equally well received so I thought I would share them with you this week! 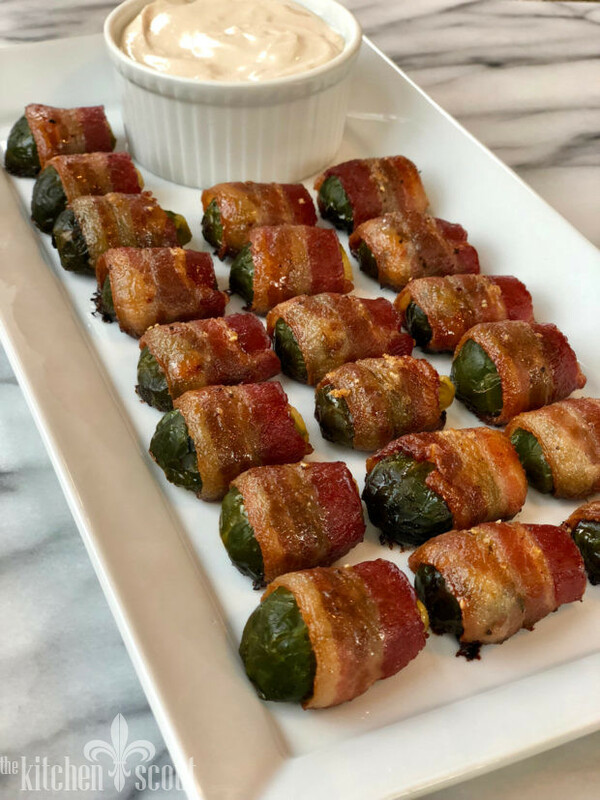 I hope you have an opportunity to make these yummy little morsels sometime during the holiday season!!! 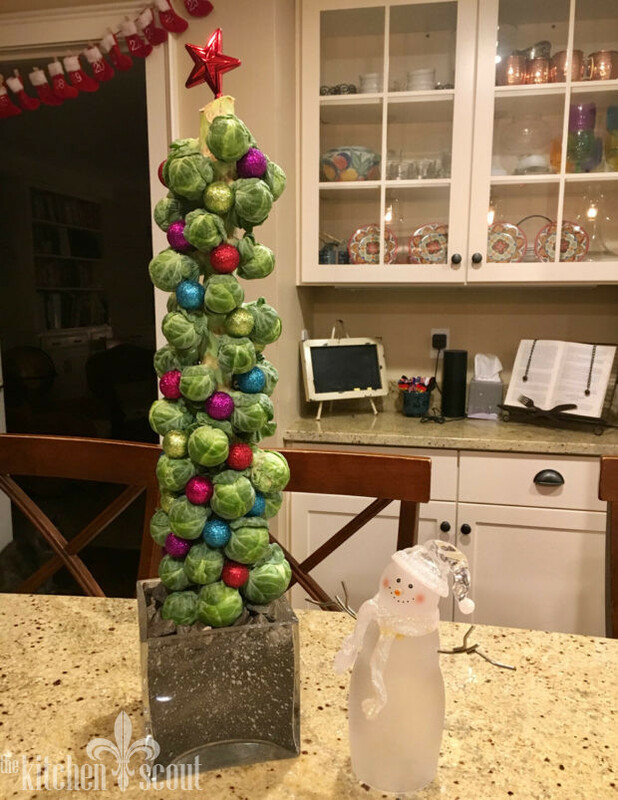 Before I go, I had to share this photo my friend Julie sent me of her Trader Joe’s Brussels Sprouts “tree” which is amazing! 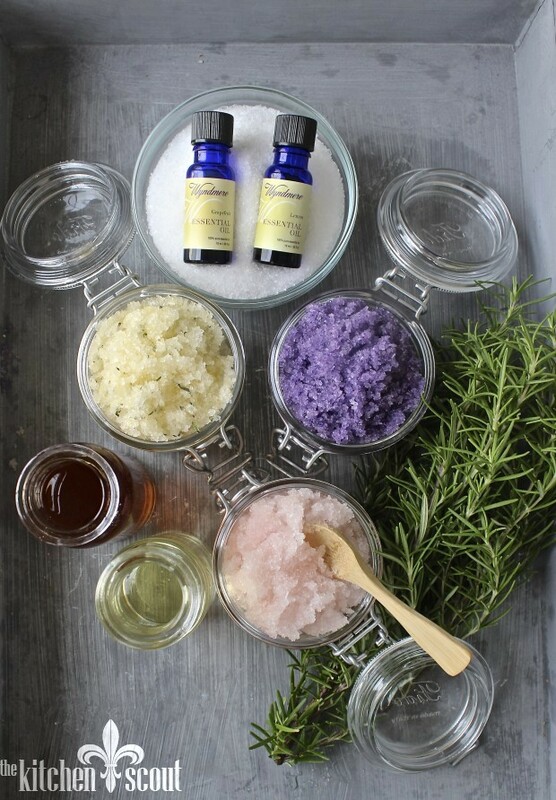 I love this and think it is such a fun idea!!! She said the hardest part is getting the stalk to stand up straight but I think it’s worth a go! 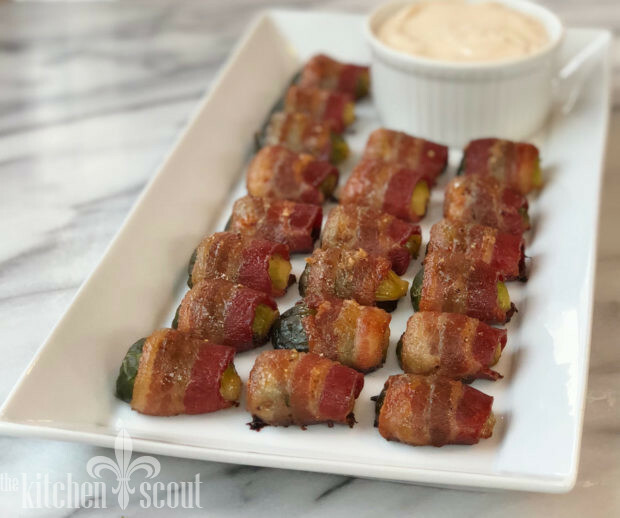 Brussels sprouts and bacon are a match and here they are together in a quick and easy appetizer to serve to family and friends. Enjoy! Whisk together the sour cream, mustard, maple syrup, balsamic vinegar and salt until combined. Chill. Trim the brown edge off the bottom of the sprouts. Just take a little sliver to clean it up - you don't want to cut through the bottom of the sprout. Fill a bowl with water and some ice cubes. Bring a pot of salted water to a boil. Add the sprouts and cook for 5 minutes. Remove and place in the bowl of ice water to stop the cooking and set the color. 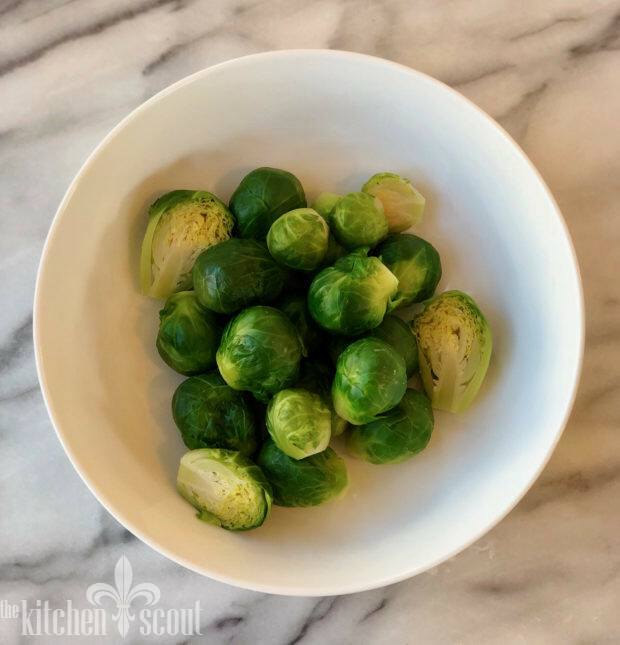 Cut the sprouts in half through the core and lay cut side down on paper towel to rid them of any excess water. Cut the bacon into thirds. Best to do this when the bacon is really cold. Sprinkle the sprouts with a little salt and pepper. 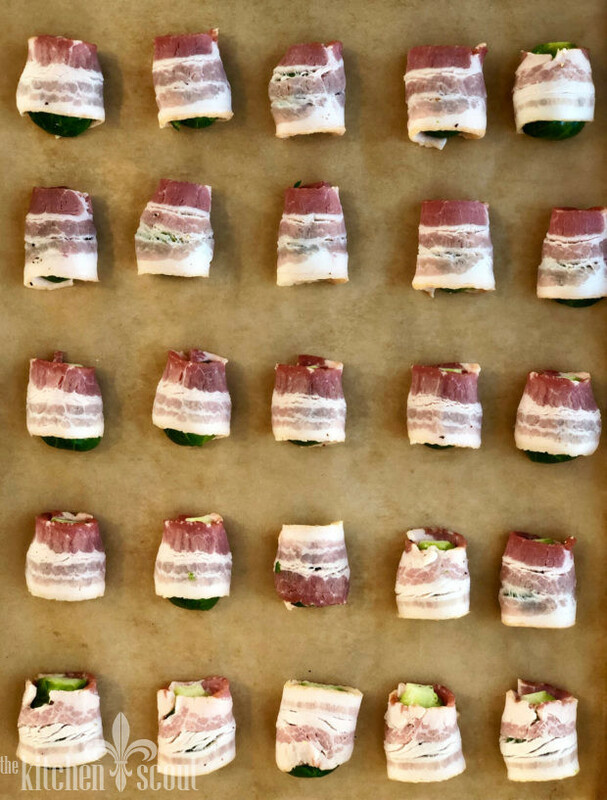 Wrap each sprout with the bacon. The seam of the bacon should be on the flat side of the sprout. 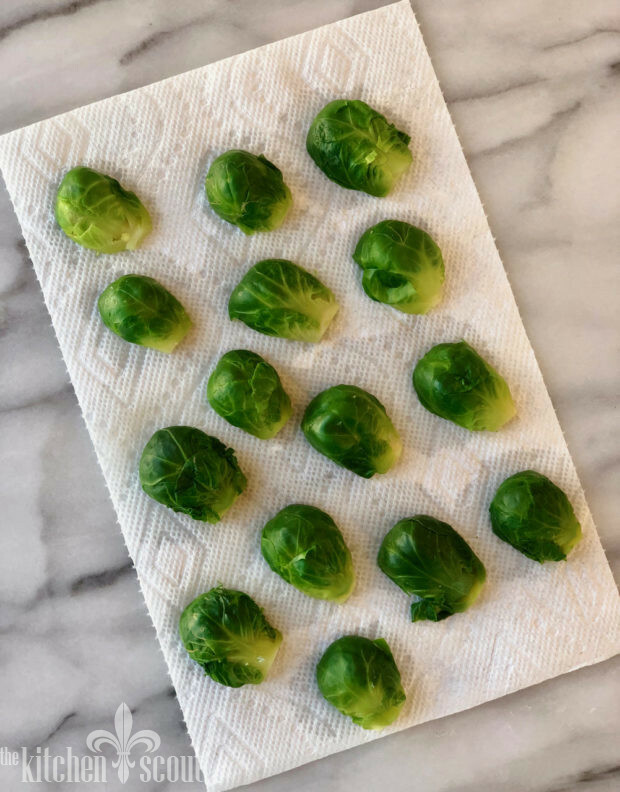 Place the sprouts seam side down on a sheet pan lined with parchment. Chill the sprouts for about 20 minutes to firm up the bacon. 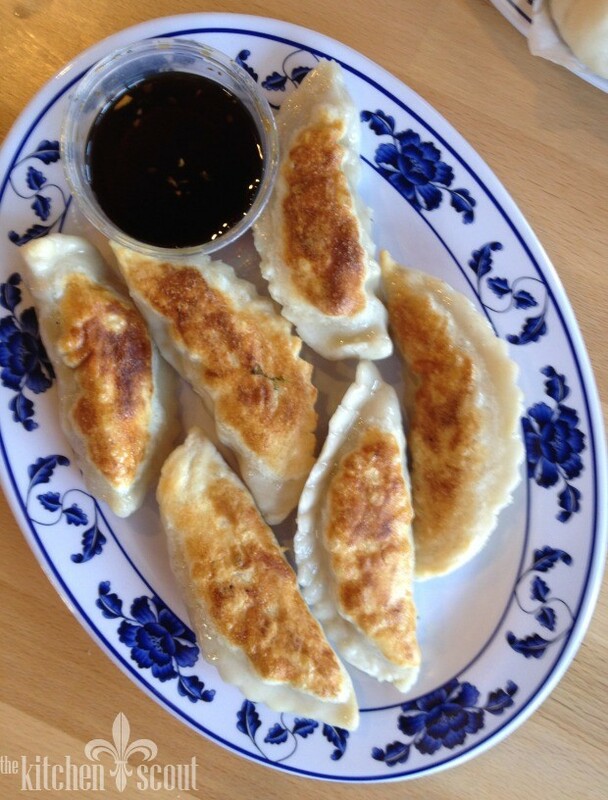 In a small bowl, mix the 2 Tablespoons of maple syrup with some cracked black pepper and a pinch of cayenne pepper. Brush each sprout with some of the mixture being careful not to let it drip down the sides (it will burn). 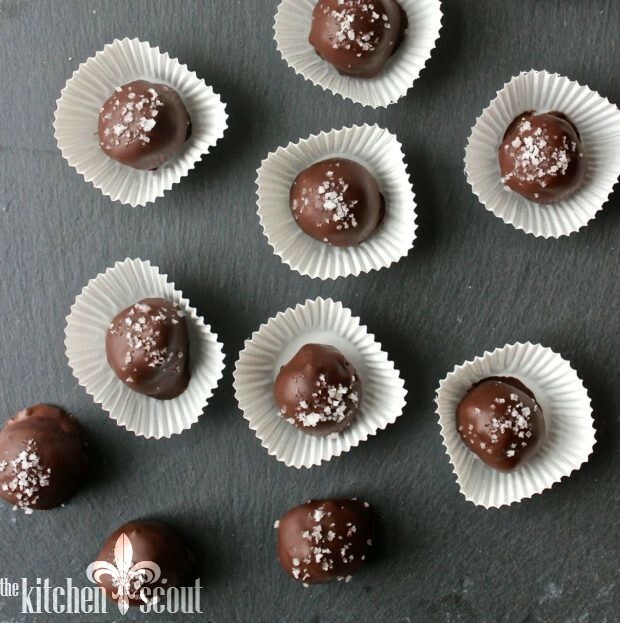 Sprinkle each sprout with just a pinch of the brown sugar. Bake the sprouts until the bacon is crisp, about 30 minutes. You may want to start checking them at 20 minutes just to make sure as every oven is different. I’ve made similar with water chestnuts instead of brussels. First to be devoured every time (couldn’t be the bacon, 😉). I think I will make yours for Christmas Day in Vermont. We are being hosted Christmas week by dear friends who have a beautiful log home at Okemo. Don LOVES anything Brussel Sprouts and this will make him happy. 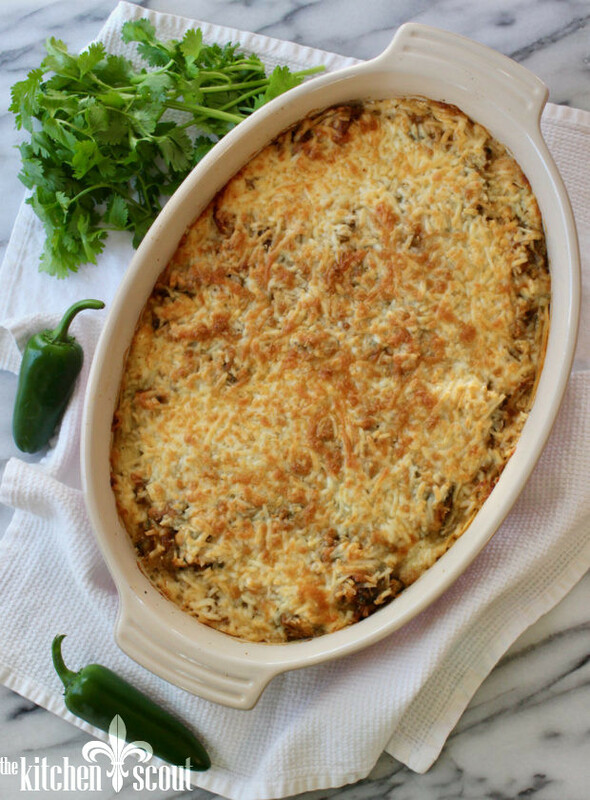 It will be a food extravaganza all week as I get to work side-by-side with another invited friend who is a trained chef, has a catering business by night, works in I/T during the day, and is a ordained minister in his spare time! I’ll share a photo if I can ever figure out how to upload to your blog. Ciao for now.